Home buying and selling transactions can take on a number of different arrangements. While using a real estate agent as part of the process, is a customary approach, more and more people today are buying and selling homes on their own. New construction purchases, inheritances, and family-based transactions are also common occasions when a real estate agent may not be involved in the transaction. At Detailed Home Inspections, we have a great deal of experience in working with individual home buyers and sellers. We play an invaluable role as your “eyes and ears.” Because we’ve literally walked through thousands of homes with a critical eye, we know what to look for, what signs of wear and tear look like, and where the most likely problem areas will be found. Regardless of which end of the transaction you are on — buyer or seller — Detailed Home Inspections can serve as the honest broker, who delivers a fair assessment of the condition of the property. Our detailed, documented reports can provide an effective roadmap, that will allow parties to assess possible areas of concern and arrive at common ground solutions. Beyond a typical “for sale by owner” situation, Detailed Home Inspections can play a key role in home purchases that involve new construction or inheritances. Just because a home is “brand new,” doesn’t mean it is well constructed. Beyond our Framing/Pre-drywall Inspections, Detailed Home Inspections can participate in a thorough walkthrough early in the process, or before closing, to identify potential problem areas. In situations where properties are being passed between members of a family, it’s a good idea to assess the true condition of the home. This could help the recipient avoid large, unanticipated expenses. 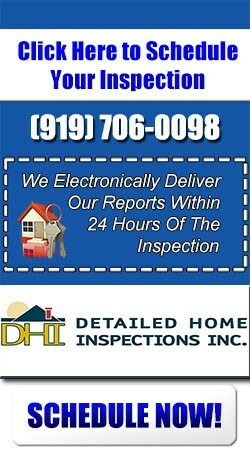 If you are planning to purchase or sell a home in Raleigh, Apex, Cary, Holly Springs, Morrisville, Fuquay-Varina, Wake Forest, Durham, Chapel Hill, Garner, Clayton, Lillington or anywhere else in the Triangle and surrounding areas, Detailed Home Inspections welcomes the opportunity to serve you. Beyond customary home inspections, we can also help with termite inspections, well and water inspections, septic inspections, framing/pre-drywall inspections, and radon tests to provide you with the comprehensive, detailed information you need for your home purchase transaction. 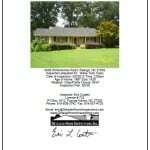 For more information, email inspect@detailedhomeinspections.com, or phone (919) 706-0098. If you are ready, you can schedule an inspection here. We look forward to working with and serving you.